Deputy Game Warden Don Gray, center, hands a shotgun to District Game Warden Norman Lewis, right, as he and acting Sgt. Dave Chabot, left, prepare to fire the weapons Wednesday at a range in Augusta. 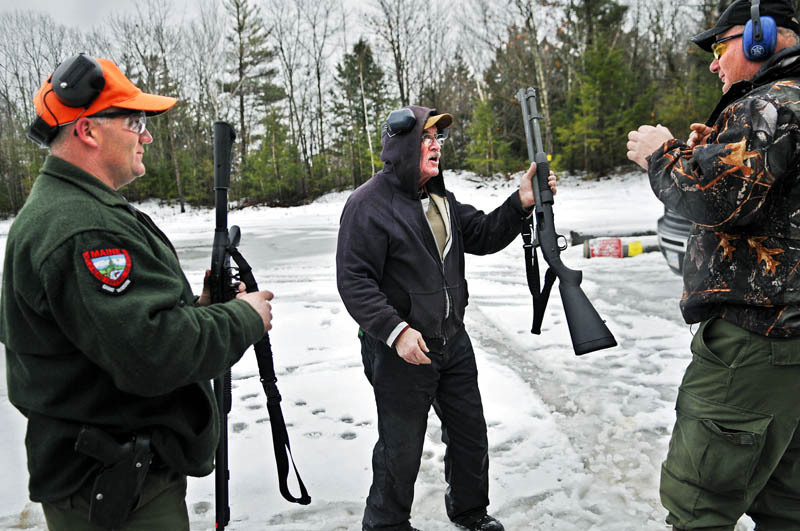 The state wilderness law enforcement officers qualify on sidearms and shotguns twice a year. Gray, who retired from the warden service as a sergeant after four decades of service, still serves as a deputy warden in the Bethel area.